The Human Proteome Organization is pleased to the announce the HUPO-endorsed Cardiovascular Initiative Workshop. The workshop features outstanding scientists from across the HUPO/HPP community. View the programme online. The workshop takes place on 2 April 2017, during the Proteomic Forum in Potsdam, Germany. For more information, and to register, visit http://www.proteomic-forum.de/ or contact dgpf@conventus.de. Call for nominations - HUPO 2017 Award Nominations Now Open! The Human Proteome Organization presents awards annually at the World Congress. The HUPO 2017 World Congress is in Dublin from September 17-21. Award recipients will present a brief talk during the Congress award ceremony. These distinguished awards recognize the outstanding efforts of individuals (or groups) advancing the field of proteomics. Nominations are done through an online submission form and no supporting documents or attachments are required. You are invited to nominate award candidates! Distinguished Achievement in Proteomic Sciences Award ($3000, sponsored by Journal of Proteome Research - ACS Publications) recognizes a scientist for distinguished scientific achievements in the field of proteomic science. 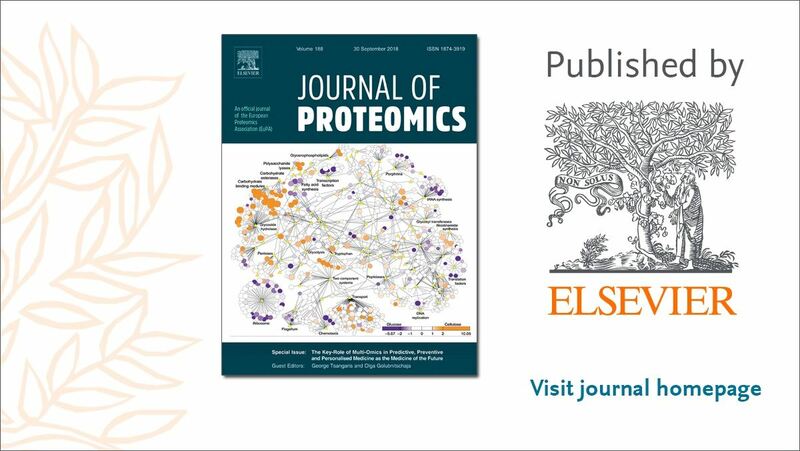 Discovery in Proteomic Sciences Award ($3000, sponsored by Journal of Proteomics - Elsevier BV) recognizes a scientist for a single discovery in the field of proteomics. Science and Technology Award ($3000, sponsored by the HUPO Industrial Advisory Board) recognizes an individual, or team (of up to three people) in private industry who played a key role in commercialization of a proteomics technology, product or procedure. The emphasis for the award is on making the technology, product or procedure widely available, which is different from the basic scientific invention. Clinical and Translational Proteomics Award ($3000, sponsored by Clinical Proteomics - BioMedCentral) recognizes a scientist for distinguished scientific achievements in the field of clinical and translational proteomics. Distinguished Service Award ($3000, sponsored by HUPO) recognizes an exemplary member of the proteomic research community whose dedicated service has made indispensable contributions to the organization and mission of HUPO. 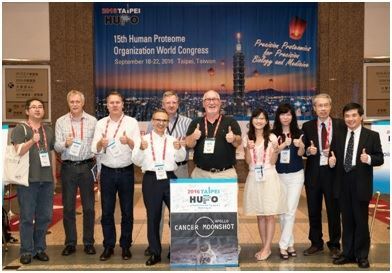 A real success story of international collaboration through HUPO was the launch of the International Cancer Proteogenome Consortium (ICPC) during the 2016 HUPO Congress in Taipei. Some of the ICPC representatives at HUPO 2016 in Taipei. From left: Daehee Hwang (South Korea), Ruedi Aebersold (Switzerland), Christoph Borchers (Canada), Henry Rodriguez (USA), Albert Sickmann (Germany), Mark Baker (Australia), Chia-Jung Yu, Yu-Ju Chen, Min Daw Tsai, Chen-Yang Shen (Taiwan). This exciting development was grounded on ongoing collaboration between the Cancer Initiative of the B/D-HPP and the Clinical Proteomic Tumor Analysis Consortium (CPTAC) of The United States National Cancer Institute (NCI), and nurtured through years of work at HUPO Congresses. Following the first announcement in Australia in July 2016, an additional 7 countries now joins the initiative to form the International Cancer Proteogenome Consortium (ICPC). This is a real success story of international collaboration catalyzed by HUPO. Two of the leaders tell of the story. The newly released MissingProteinPedia database collates information about proteins in unprecedented ways, allowing Human Proteome Project scientists to gain a deeper understanding of how our proteins work together to make every human an individual. While about 20,000 genes code for proteins in the human body, the new database is aiding in the identification of 2,949 “missing” human proteins that are still waiting in the wings and are yet to be proven to exist by high fidelity measurements. The database, made by scientists at Macquarie, will be a powerful tool in helping all researchers pinpoint every protein found in the human body and how these interact, with potential repercussions for better understanding many diseases. Much remains to be understood about how proteins in the human body works in unison; however a newly developed resource is giving scientists a more complete picture of how the proteome makes us uniquely human. MissingProteinPedia, a database developed by a collaborative research group lead by scientists at Macquarie University, could not only help researchers learn more about the location and use – termed ‘expression’ – of specific proteins in the body but also how they interact to make us human. It will also help to pin down those proteins which are still ‘in the shadows’, with implications for several diseases. “While we know a lot about individual proteins, the larger picture of how these proteins work together to make an individual person is a difficult concept to explore. Although we are developing new technologies to test when, where, why and how proteins are expressed, we still need some way of tying all the biological information together so that we get a clearer picture of how proteins work together to turn us into an individual human being,” explained Professor Mark Baker, lead author of the missing protein study. “Our team developed MissingProteinPedia to gather all the scattered and incomplete information about what the Human Proteome Project calls missing proteins. This includes the 2,949 proteins that, despite rigorous testing, are still ‘in the shadows’ and haven’t yet been proven to exist,” he added. The tool accelerates the discovery of many missing proteins, particularly those in elusive protein families, with potentially vast consequences for human disease. “In order to understand how a disease progresses we need a detailed picture of how all proteins work in a healthy individual, so that we can understand what triggers the development of diseases,” explained senior author Professor Shoba Ranganathan. “MissingProteinPedia has uncovered substantial evidence for many hard-to-detect proteins for which small amounts of information have taken years to gather. The very fact that we have come so far in such a short time bodes well for our understanding of complex human diseases such as cancer,” she added. The researchers will make the database a community-driven, citizen-science project where everyone can help in the discovery of human missing proteins and their role in health and disease. Baker, Mark S; Ahn, Seong Beom; Mohamedali, Abidali; Islam, Mohammad T; Cantor, David; Verhaert, Peter D; Fanayan Susan; Sharma, Samridhi; Nice, Edouard C; Connor, Mark and Ranganathan, Shoba. 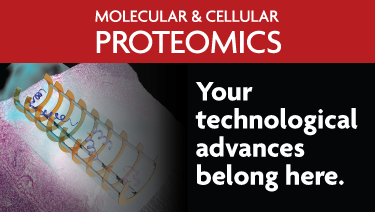 Accelerating the Search for the Missing Proteins in the Human Proteome. The Bioinformatics Hub is a place where bioinformaticians gather together with three aims: (i) to provide their advice, knowledge, and support to anyone with a relevant question; (ii) to discuss current issues and challenges in proteomics informatics with the entire community; and (iii) to work on interesting, synergistic projects and to freely exchange tools, algorithms and know-how with each other, across all labs, seniorities and levels of experience. HUPO Chromosome-Centric Human Proteome Project (C-HPP) has recently published its 4th Special Issue of the Journal of Proteome Research (http://pubs.acs.org/toc/jprobs/15/11) which carries a total of 18 papers. 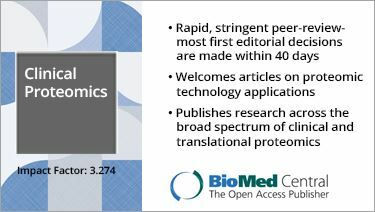 This special issue highlights the progress on the C-HPP and its related projects in many aspects such as HPP Mass Spectrometry Data Interpretation Guidelines, 2016 HPP Metrics, Discovery of 267 Missing Proteins (currently 2930 proteins) and other biological aspects of newly identified proteins encoded by human chromosomes. The below press release was sent by the NCI Office of Cancer Clinical Proteomics Research on August 29, 2016. University of Victoria Genome British Columbia Proteomics Centre, a leader in proteomic technology development, has partnered with the U.S. National Cancer Institute (NCI) to make targeted proteomic assays accessible to the community through NCI’s CPTAC Assay Portal (https://assays.cancer.gov). 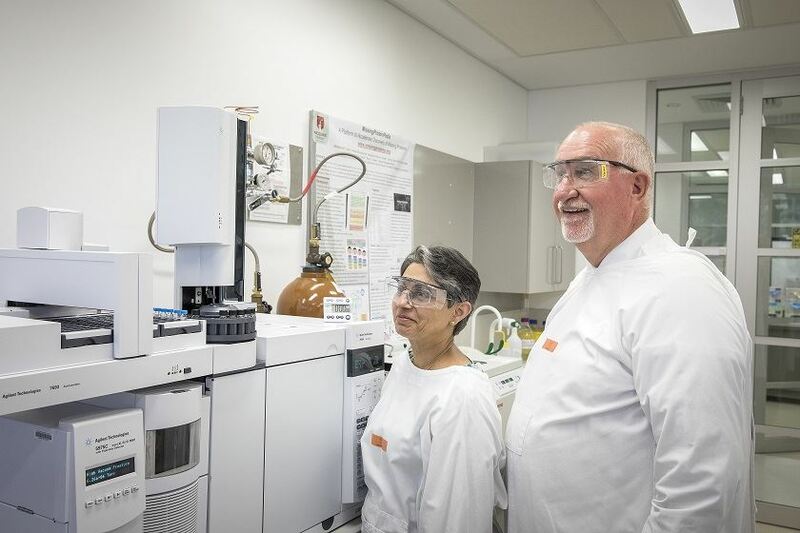 A key aspect of the Assay Portal is to provide space where national and international proteomics researchers from across the globe can upload and share their quantitative assays with standard operating procedures and guidelines. To meet this goal, NCI is continuing to improve the assay upload process to have an independent process for public/non-CPTAC teams to upload their assays in a seamless fashion and will provide update on this effort to the community as it comes available. Targeted proteomic assays eliminate issues that are commonly observed using conventional protein detection systems (e.g. Western blotting), which are semi-quantitative at best, not readily multiplexed, and often non-specific. Until recently, non-standardized information for hundreds of targeted mass spectrometry-based assays was distributed across published journal articles. The CPTAC assay portal serves as a centralized public repository of highly characterized targeted MS assays, including standard operating protocols, reagents, and assay characterization data. Dr. Christoph Borchers, Ph.D., Director of the University of Victoria Genome BC Proteomics Centre, Canada, has volunteered to be the first non-CPTAC researcher to upload targeted mass spectrometry-based assays to the portal. These multiple reaction monitoring (MRM-MS)-based assays fully adhere to the standards and guidelines developed by CPTAC and meet the minimum characterization requirements for entry to the portal, including development of multipoint response curve and repeatability assessment. In the portal landing page, which is designed to be relevant to biologists, researchers will be able to search for the Proteomics Centre assays by querying using the “non-CPTAC” term. Dr. Borchers has contributed 107 MRM assays to the portal in this initial phase, and is working on completing up to 2,000 assays that will be ultimately imported to the CPTAC Assay Portal. To empower researchers and democratize protein measurements, NCI launched the proteomics Assay Portal in 2014. This community web-based repository for well-characterized quantitative proteomic assays which was highlighted in a landmark paper in Nature Methods currently consists of greater than 900 targeted assays and serves as a public resource of methodologies and data related to cancer associated targets. By incorporating guidelines for assay characterization, the CPTAC Assay Portal takes a leap forward in enabling researchers to assess the performance of each assay as well as downloading all the data and information for implementing the assays. The ultimate goal is to standardize protein quantification and harmonize results across laboratories, improving our ability to validate molecular signatures and the reproducibility of preclinical research, as well as facilitating the regulatory approval of new drugs and diagnostics. The Assay Portal also represents the application of “best practices” for targeted mass spectrometry developed during a two day-workshop held at the National Institutes of Health and published in 2014 in the journal of Molecular and Cellular Proteomics. In this workshop CPTAC, with input from the outside community that included the U.S. Food and Drug Administration and American Association for Clinical Chemistry, established a framework for MRM assay ‘fit-for purpose’ validation by defining three tiers of assays distinguished by their performance and extent of analytical characterization. Assays presented on the CPTAC portal predominantly represent ‘Tier 2’ assays, as described in the workshop report. The University of Victoria Genome BC Proteomics Centre is a state-of-the-art proteomics research facility located at the University of Victoria’s Vancouver Island Technology Park in Victoria, British Columbia, Canada. Supported by Genome Canada, Genome BC and the University of Victoria, the Centre is the best-equipped proteomics research facility in Canada, with $10 million worth of specialized equipment including 16 mass spectrometers. The Centre is a not-for-profit facility that operates on a cost recovery model. It is the longest operating proteomics core facility in Canada, having been in operation since 1982, and serves clients in academia, industry and government on a fee-for-service and collaborative basis. The National Cancer Institute’s Clinical Proteomic Tumor Analysis Consortium (CPTAC) is a comprehensive and coordinated effort to accelerate the understanding of the molecular basis of cancer through the application of large-scale proteome and genome analysis technologies (proteogenomics) to different cancer types. CPTAC is composed of expertise in proteomics, genomics, cancer biology, oncology and clinical chemistry, while creating open community resources that are widely used by the cancer community. For further information about CPTAC, go to http://proteomics.cancer.gov. 2016 HUPO Council Election - the results are in! The 2016 HUPO Council Election results were announced at the General Assembly of Members on September 19, 2016 in Taipei during HUPO 2016. Council terms are three years and will extend from January 2017 to December 2019. We are pleased to congratulate the following future HUPO councilors. Four future HUPO Executive Committee positions (for 2-year terms, starting January 2017) were elected during the HUPO Council Meeting on Sunday, September 18. We are pleased to announce the following future HUPO Executive Committee members. Welcome to the first BD-HPP newsletter! This communication is design to inform and encourage collaborative efforts within the HUPO community, within B/D-HPP initiatives as well as across B/D-HPP and C-HPP. In each issue, we aim to highlight the activities and achievements of two B/D-HPP initiatives, and celebrate a success story. The newsletter editor is Michelle Hill, a new HUPO council member from Brisbane, Australia.